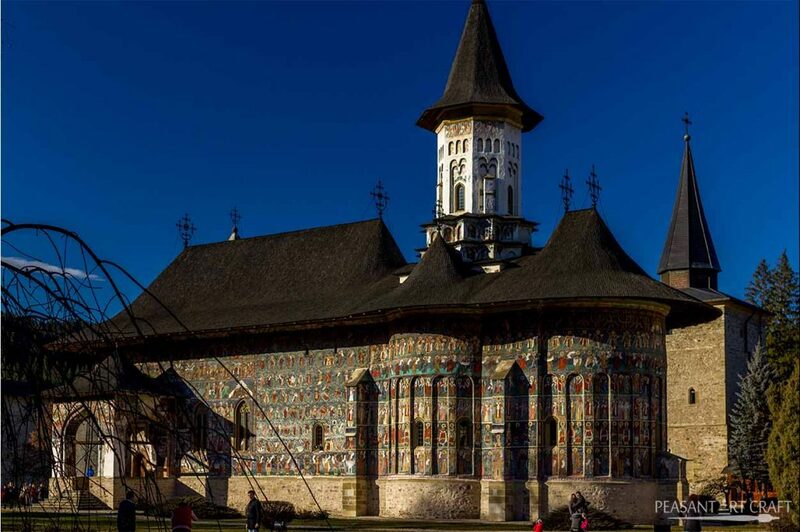 Traditional clothing didn’t go out of style in the region of Bucovina. The resurgence of village social events is fuelling the demand for unique costumes. 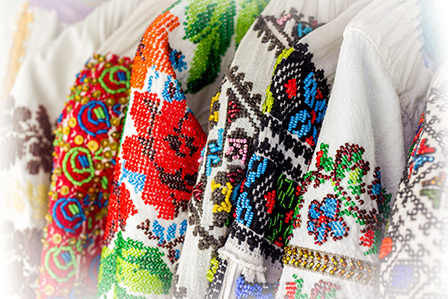 In the village of Iaslovăț, women often compete to craft the most stunning bead embroidery work on Romanian peasant blouses. 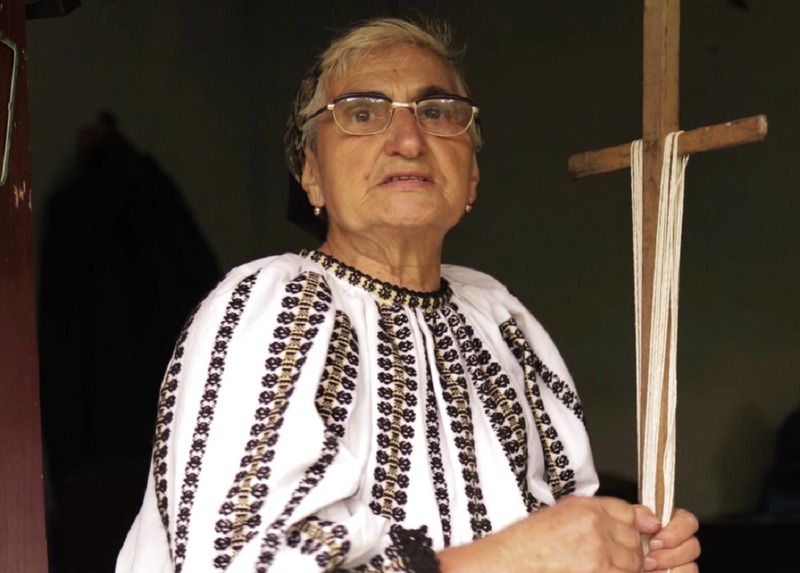 Like many women in her village, who make their own Romanian embroidery designs by hand, Solovăstru Elena learned hand embroidery at an early age. She started making blouses for herself and family members. Their beauty impressed other locals and the first orders came in. Today, she is one of the few seamstresses in her village still working to meet the demand for unique hand embroidered blouses for men and women. She is crafting a heavy bead embroidery on a man’s peasant blouse. Prominent ornamental fields on chest, collar, cuffs and across the shoulders of men’s chemises are late additions. The geometric designs on old blouses seem to be less preferred in comparison to the late graphic designs. Flowers, mountains, trees appear in intricate detail. One of her blouses can require over two pounds of beads. Each bead requires individual stitching. She uses a homemade fabric purchased from village weavers. 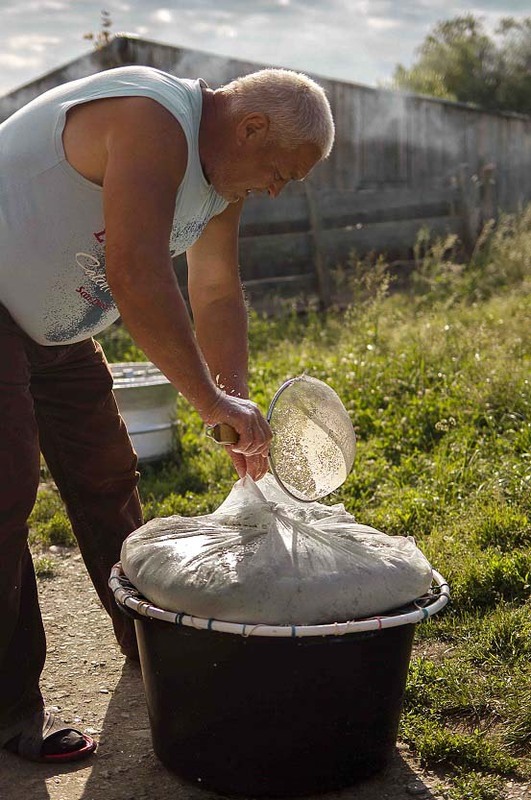 The blouses, worn at social events, especially by Romanians abroad, are regarded as a source of identity. Elena speaks proudly about her family’s legacy. 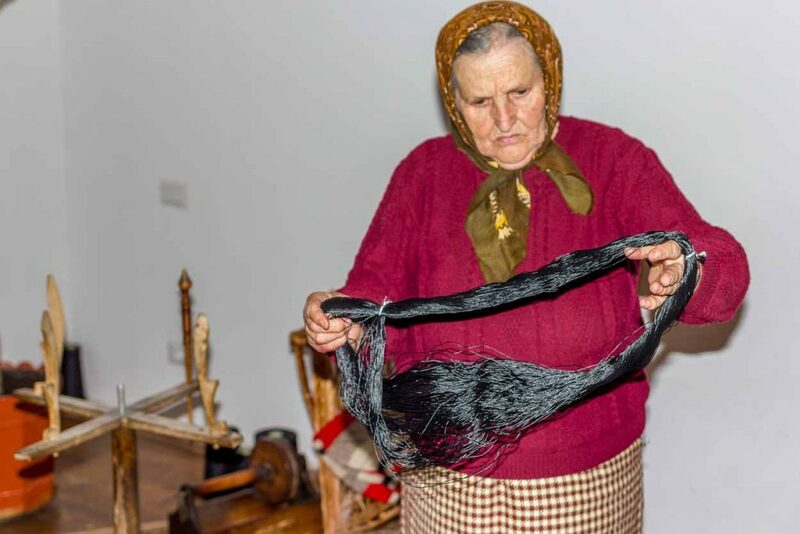 „The long line of family seamstresses spans several generations”, she tells while bringing in a stack of traditional vintage garments passed down from her mother, Solovăstru Veronica. 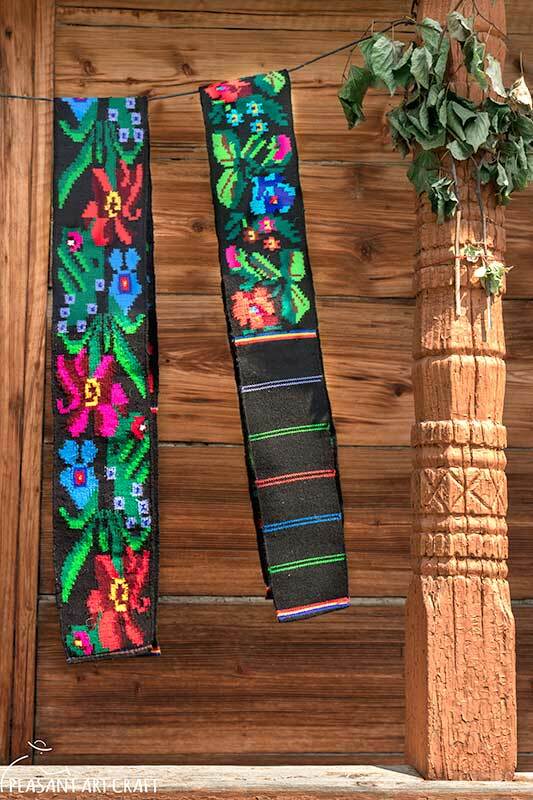 There are vintage peasant blouses with antique embroidery, lambskin vests, traditional striped woolen skirts with metallic yarn. My favorite among them, a lambskin coat from 1946. The year and initials of her mother’s name, S V, written on it. 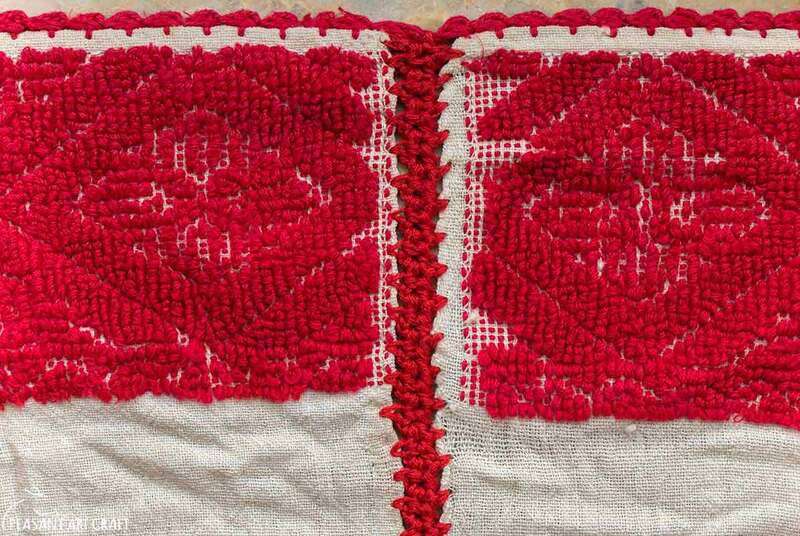 The perfectly symmetrical and geometrical motifs are sewn with vegetal dyed cotton yarn. 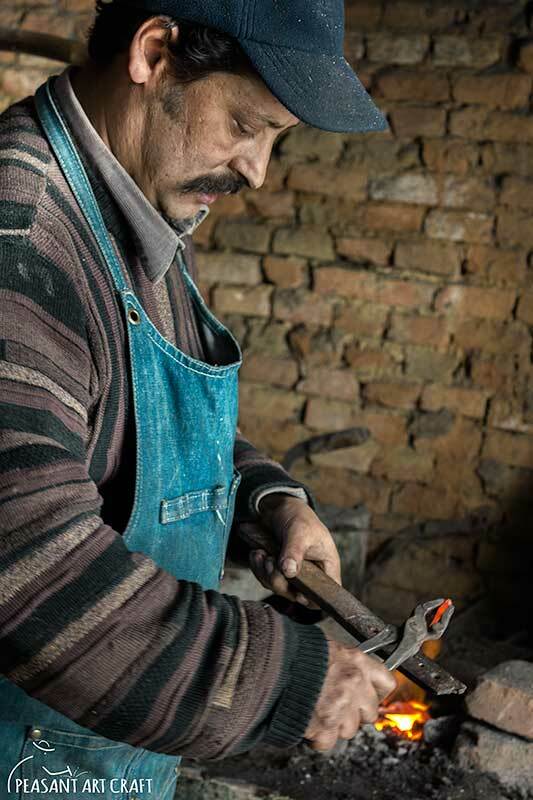 Thank you for introducing me to the beautiful country of Romania, and the wonderful folk crafts. You’re welcome! Thanks for following our blog!